The lender got through two quarters in a row without socking away huge amounts to cover legal costs. That’ll be a relief for the CEO as he starts cancer treatment. What’s more, core earnings improved for the first time in a year. Returns are still mediocre, but it’s a start. 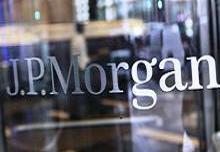 JPMorgan Chase on July 15 reported second-quarter net income of $5.9 billion on revenue of $25.3 billion. Earnings of $1.46 billion per share beat the consensus estimate of sell-side analysts of $1.29 a share. Annualized return on equity was 11 percent.